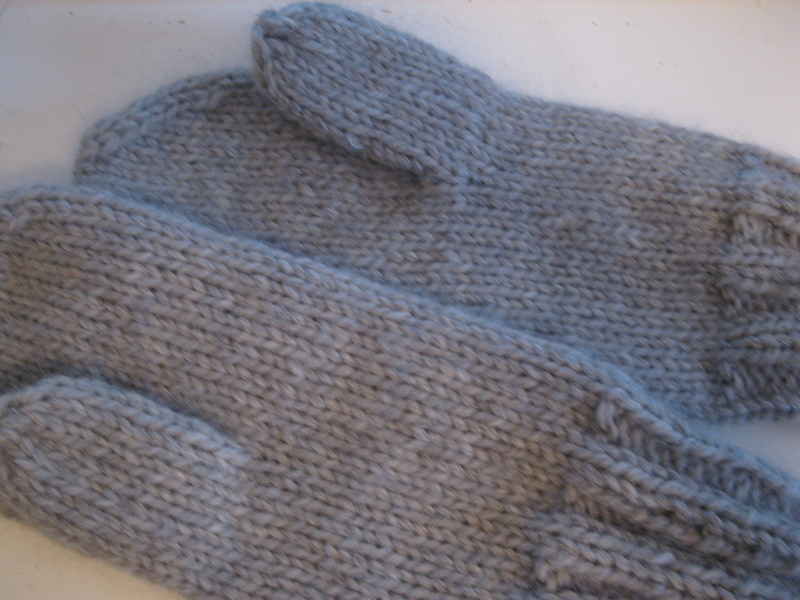 These mittens are easy to knit and do not take long at all. Perfect gift knitting!! Follow the instructions step by step, today just up to the part where the stitches for the thumb get put on hold. With both strands held together, cast on 32 sts. Distribute evenly onto four needles, 8 sts each. 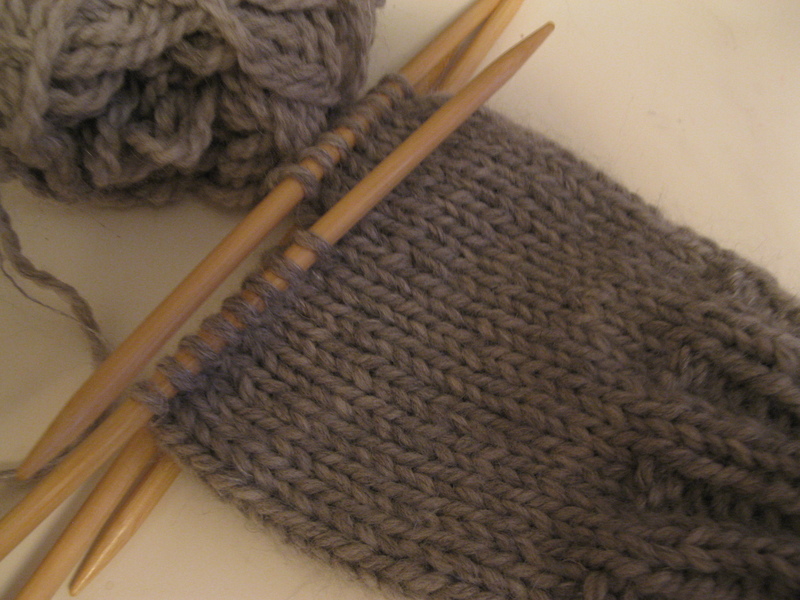 Close to round, making sure not to twist your stitches, and knit 2×2 rib (k2, p2) for 14 rounds. 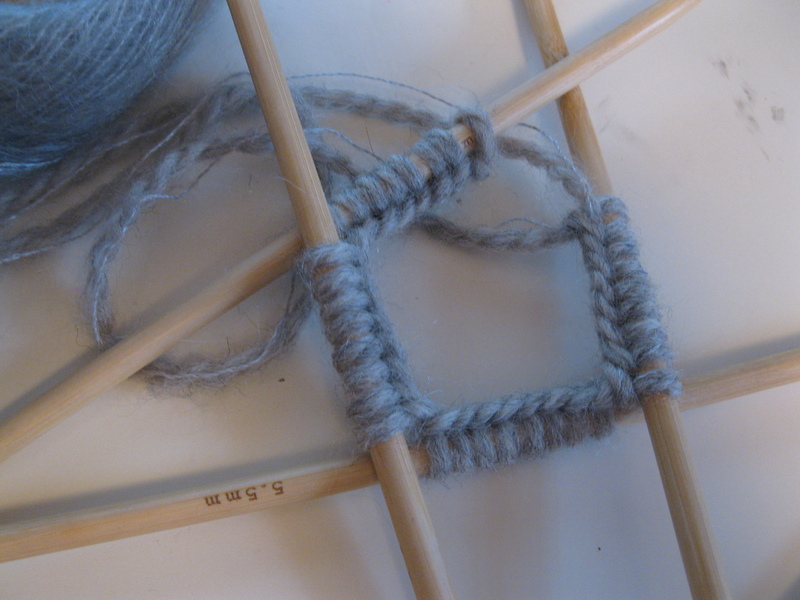 Then switch to Stockinette Stitch and knit until it measures about 3.5″ – measuring from end of rib. 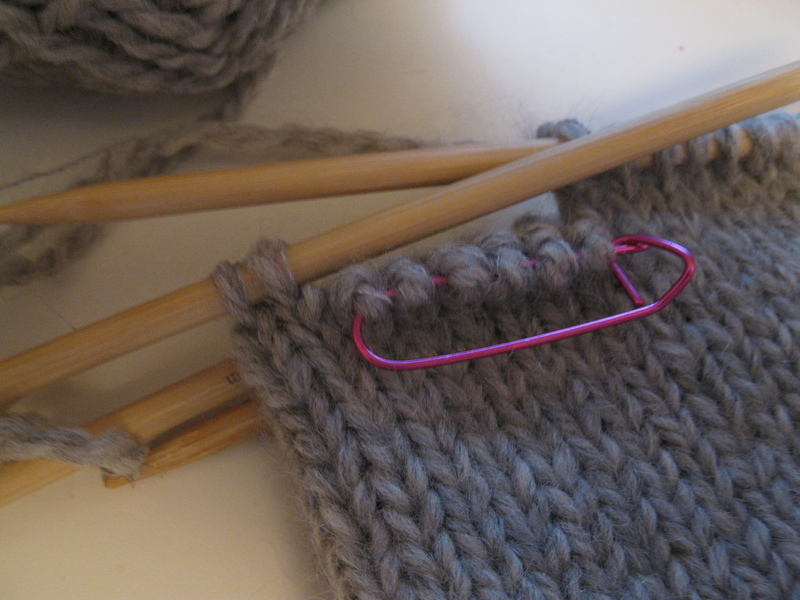 On next round, knit 6 sts, then place them on stitch holder. Knit to end of round. Don’t forget to check out our Holiday Schedule and remember, we will be open on Monday, December 23rd from 10.30 am to 5 pm!! It’s so tricky to make sure it doesn’t twist after we cast on. Is there a way to make sure it stays out? 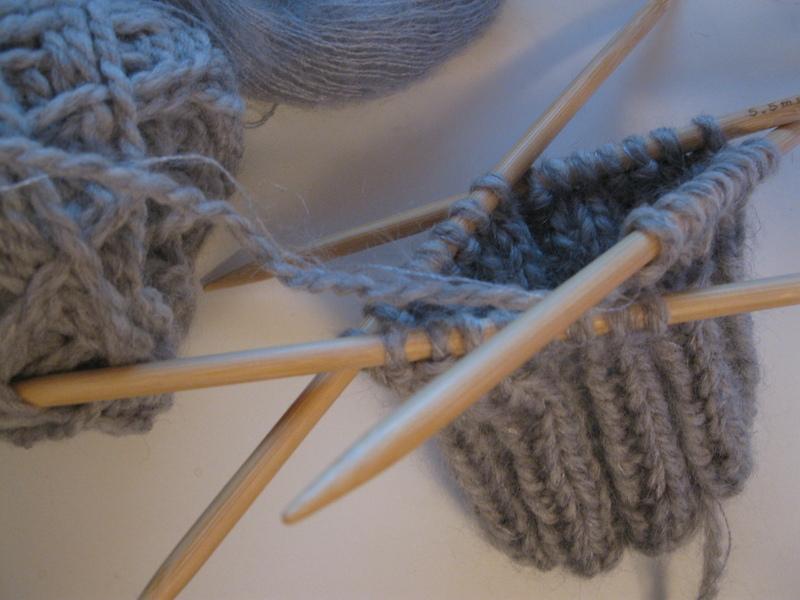 I have to say, when knitting with double pointed needles I have never twisted my stitches once. First off thanks for this step by step mitten patern, I’ve been wanting to attempt a mitten but have been a little intimidated. I did have a question about yarn/needle size. If I was to use worsted yarn would that still work? I really don’t know my yarns very well so I’m not sure if the ones you mentioned are bulky or not. Also how would this affect the needle size if at all? 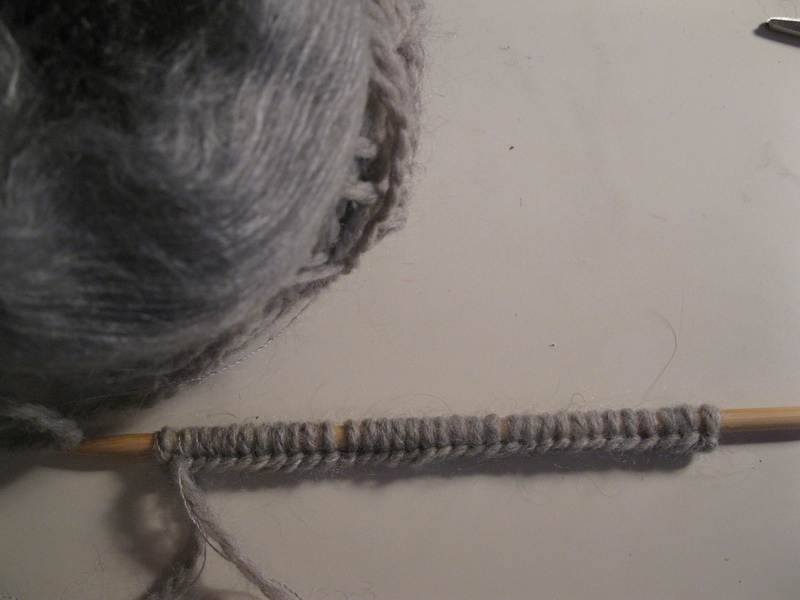 the yarn(s) I used make for a bulky yarn, meaning when I knit that with 5.5 mm needles I get a dense, warm fabric. then you are going to have to modify the thumb and the top decreases also.